even if you didn't vote for him, you have to be with him and for him in wanting to begin the change. he may not fulfill it in six years, but the important thing is that we begin the positive change and that the next administration continues it. the most meaningful line in his speech: "kayo ang boss ko." 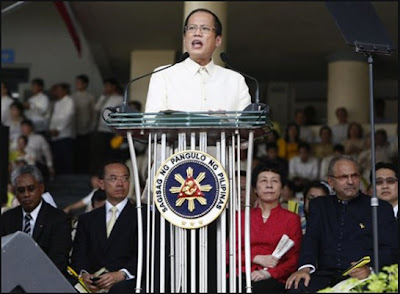 well said, president aquino. unfortunately, that's something a lot of public servants seem to forget. i am hopeful for the first time in twelve years. we have wasted twelve years under Estrada and Arroyo, plus the years under Marcos. so many years wasted for our country. I am still skeptical about his ability as president.